I created this Willow Garden Flowers, Impressionism yesterday and am thoroughly in love with its colors and dappled sun. The willow trees make this image even more inviting than the flowers and sun shine art. My artist corners are rich with the desire for spring. Winter has been long-lasting and most of us are just done with cold dreary days and the freezing nights. This art is the exact opposite of freezing winter nights 😀 yay! I hope you dig my version of impressionism art. It clicks in my brain and must be expressed. 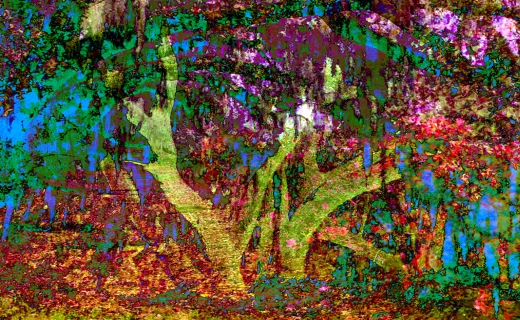 When I paint, color loaded brush in hand, feelings and ideas just beyond the canvas, waiting to be fruition’s evidence, I find my artwork looking much like this digital art. Some have asked what kind of paint I used to create this artwork, I get to tell them that it’s not paint but computer generated art. The irony of creating impressionism with digital software tickles me to no end. I could create the Willow Garden Flowers piece from paint but I much prefer the depth of digital representation. This garden art was created using PicMonkey, a free online photo editor. I own a pro account at the Monkey so I get lots of extra arty buttons to use in the creation of my art. 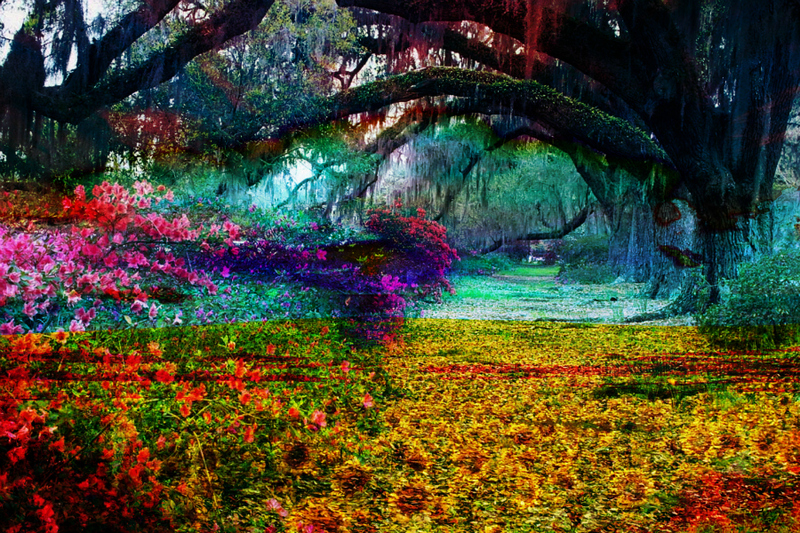 The Willow Garden Flowers contains 7 layers which are 7 individual images of garden flowers and willow trees lain over one another becoming overlays. A piece like this one will end up being around 600 clicks of the whatever software I’m using. Looking nothing like their former images, these impressionism pieces created with overlays have become easy stuff for me. I’ve moved on to digital painting. I still use lots of pieces of digital images to create my colors, textures, light and shadow. I edit my photos into patterns and color swatches, I then apply them to my original blank image and create something completely new. It’s a hodge-podge of bits and pieces, fantastic colors and shapes. So glad I opened that first photo editor online to see what it did. To see more impressionism art of willow garden flowers, check out the Impressionism Art Gallery.